Escaping a society wedding, Annabelle Baldwin followed her heart to Liberia to pursue her calling as a missionary. But when an attempted kidnapping lands her under the protection of Stewart Hastings, Anna’s journey takes a new turn. The wounded war veteran needs a guide through the jungle. It’s a job the underfunded missionary can’t refuse, despite the feelings Stewart stirs in her guarded heart. Stewart knows he won’t succeed without Anna’s expertise. And when danger puts her life at risk, he realizes he cannot live without Anna by his side. But what will it take for a man who has lost his faith to capture the heart of a woman who lives for hers? 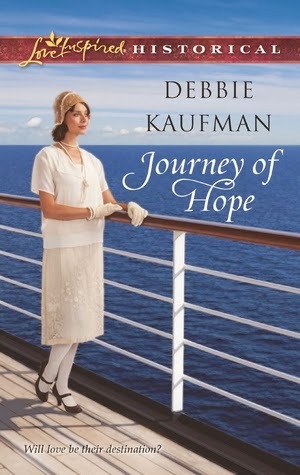 I don’t read much inspirational fiction, but when my friend and Petit Fours and Hot Tamales blog sister Debbie Kaufman offered me an ARC of her latest release in exchange for a review I couldn’t resist. And I’m so glad I took the plunge! What a wonderful story! Debbie did her homework; I learned a lot about the culture of 1920’s Liberia and the kinds of experiences the missionaries had with the tribes there. And if I didn’t know better, I would swear that these two main characters were real people – very different from one another, with goals that both complement and hinder the other. Stewart, prospecting for the mining company he works for and desperately in need of funds to help his ailing mother, cannot succeed in his task without the assistance of a guide and a translator. After meeting Anna, he realizes she is perfect for the job. 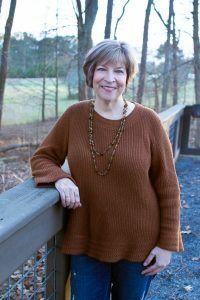 Estranged from her family, Anna has found solace in the jungles of Africa, sharing the gospel and changing lives. And there is one child in particular that she cannot help with her limited resources, so when Stewart makes her an offer, she feels she cannot refuse. As they journey together, they being to develop feelings for each other. But Stewart hides a secret that makes him feel unworthy of a woman’s love. And Anna’s faith makes it impossible for her to even consider a romantic relationship with a nonbeliever. Will Anna and Stewart meet their goals? Will they find the love they crave? Read the book and find out! Five enthusiastic stars! Highly recommended!